A young man's parents are frantic to find their son, a paranoid schizophrenic who traveled to New York City from Chicago more than a month ago and may have gone off his medication, according to friends of the family and a missing poster. A family friend says 25-year-old Terrance Lyles Jr. arrived in the city for a visit about six weeks ago. He spent time in Manhattan and in Jamaica, Queens. His parents haven't heard from him since Aug. 8, when the friend says he called his mother and said he was going to kill himself. 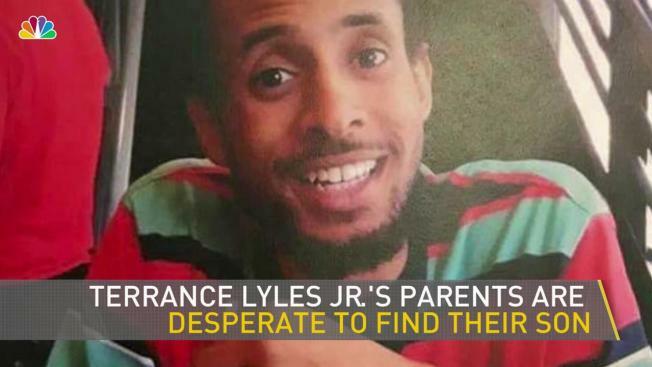 The friend says Lyles' parents have come to the city to search for him and that they have filed a report with the NYPD. It wasn't clear who he was visiting. Lyles is described as being about 6 feet 2 inches tall with black/brown hair and eyes. The missing poster says he may have a cast or sling on his arm, and that he constantly walks and paces. It also says anyone who spots him should not approach him, but should instead call police. Anyone with information about him is asked to call local authorities.